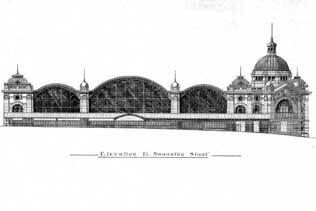 For almost a hundred years, Melburnians have been looking at ways to better connect the city with the Yarra River, which had been rudely taken away from them by the Public Transport corporation. One story is well known, the drawn out Gas and Fuel to Federation Square saga. On the other side of the bridge, it’s been no less drawn out. Can anyone spot the glaring error? Apart from labelling all Post-WWII buildings “plain”. 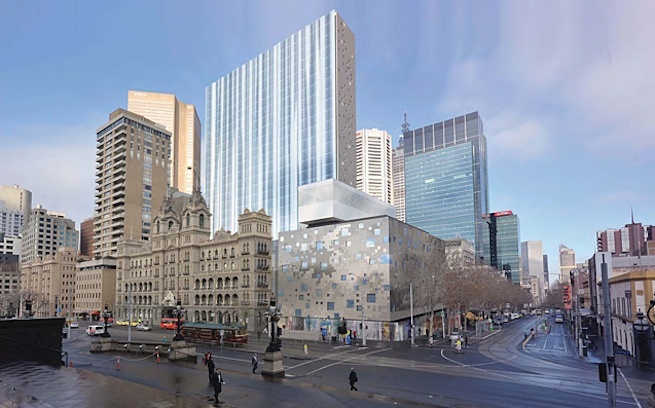 Halim group has submitted an ever so slightly lower version of their Windsor Hotel development to Heritage Victoria for approval. Two floors have disappeared, cutting the number of rooms from 332 to 300.
in Australia Victoria Melbourne Northcote  Last verified 9 years ago. They really want to hang out in the past down at the Parks Branch. They’re about to bowl anything in Fitzroy Gardens that looks like it was built after 1939, after a spot of public consultation. They’ve lept on Heritage Victoria’s advice that the only decent things in the garden were built in the nineteenth century, at the turn of that century, and in the Inter-war period, which Parks mistakenly think ended in 1945. They appear to have taken their obligation to look after items from these periods as a license to obliterate anything else. in Australia Victoria Melbourne East Melbourne  Last verified 9 years ago. 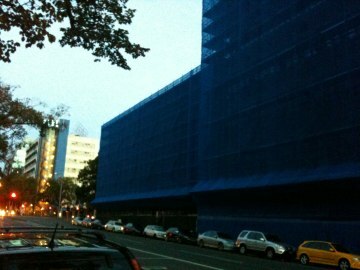 Lonsdale House now looks like this… The facades of the ground floor shops have, rather eerily been left as a hoarding. in Australia Victoria Melbourne CBD  Last verified 9 years ago. in Australia Victoria Melbourne Parkville  Last verified 9 years ago. 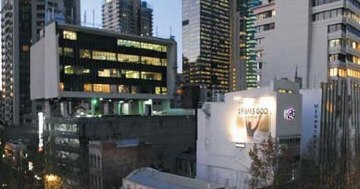 This could be the last chance to have a good look around the Naval and Military Club in Little Collins Street, Melbourne. 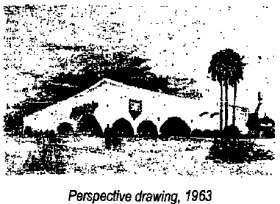 The low-rise 1967 building with its distinctive arched windows is due to tumble soon, a new planning proposal having been approved for a Buchan designed 32 storey hotel and apartment complex. in Australia Victoria Melbourne Last verified 9 years ago. The National Trust has launched a SAVE THE WINDSOR website. They don’t mean the Queen. in Australia Victoria Melbourne CBD  Last verified 10 years ago. 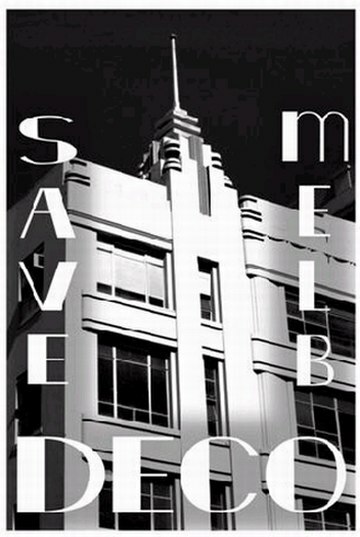 The upcoming demolition of Lonsdale House, an art deco building in Melbourne’s dowdy Lonsdale Street, is attracting attention that must be worrying the developers and Myer. 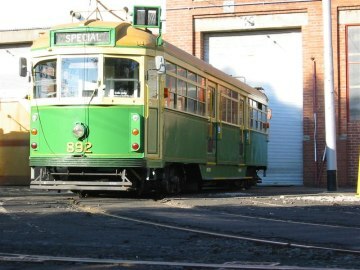 A brief survey of recent developments turns up calls to arms, critiques of Melbourne’s heritage policy, and thoughts about what inner Melbourne should strive to be. I just stumbled on what looks like a valuable tool for researchers. The NLA has been quietly shifting thousands of old newspapers into a searchable digital format. The current date range available to search is 1803 to 1954.
in Australia Victoria Melbourne Albert Park  Last verified 10 years ago. A two week public hearing starts next week into the fate of several sites very close to Melbourne’s Shrine of Remembrance. in Australia Victoria Melbourne Southbank  Last verified 10 years ago.